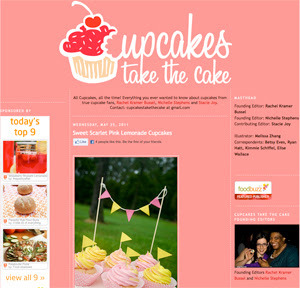 I'm very excited to be featured again on the blog Cupcakes Takes the Cake and have my Pink Lemonade Cupcakes & recipe featured. Congratulations on getting featured!! You deserve it, your cakes look delicious. Keep up the good work. Thanks Voe! I checked out your blog too, your Chicken Pie looks AMAZING! That is my kind of food! I follwed your blog and I look forward to more of your posts.